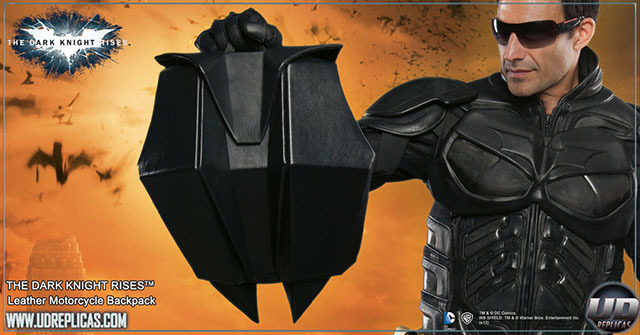 UD Replicas, a company known for creating officially licensed outfits and leather motorcycle suits based on films, has released a kickass leather Batman Backpack inspired by the Dark Knight films. 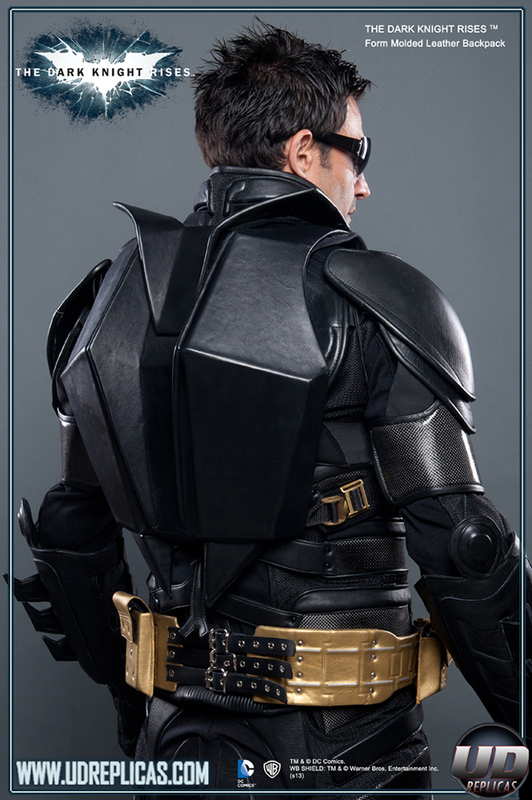 It is available to purchase online. 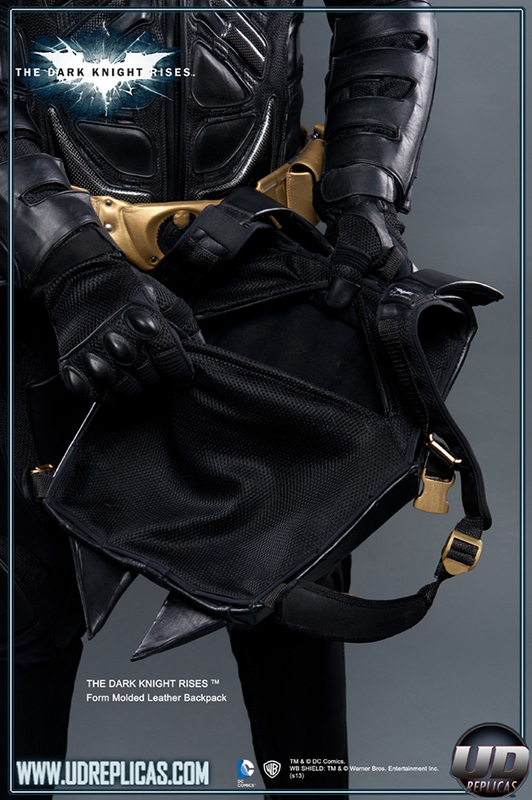 First used by Batman on the rooftop of the Hong Kong skyscraper in ‘The Dark Knight’ (2008), and most recently featured in ‘The Dark Knight Rises‘ (2012), this gorgeous Batman accessory – universally referred to as ‘Batman’s Backpack’ – has now been brought to life as a fully functional, everyday usable leather backpack.